1) Please tell something about yourself. 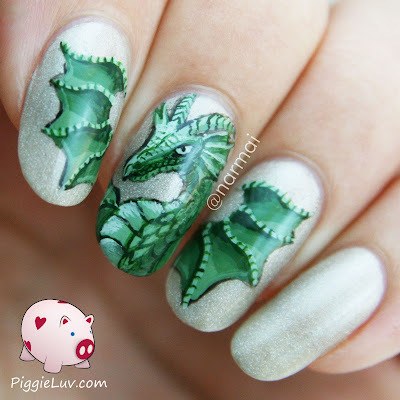 Not long after that, I thought of the idea to paint an amusement park logo on my nails. 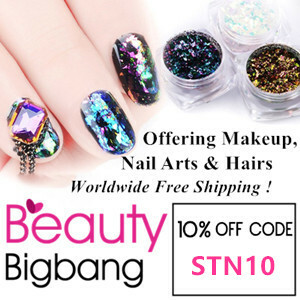 Someone mentioned that it was nail art (something I had never even heard of before), so I Googled it and I discovered blogs, and found all these amazing nail artists. I wanted to be able to do what they did. I wanted to learn more, get better, try everything! Everyone! 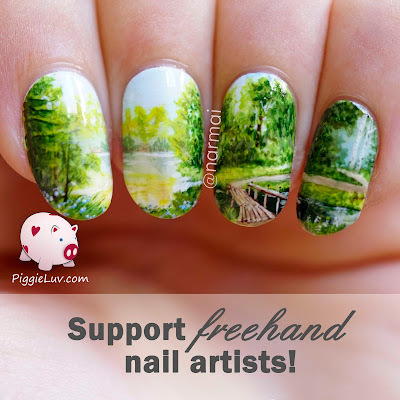 I find so many amazing people that not only do nails, but also cookie artists, oil painters, sculptors, digital artists, fashion designers... People who are dedicated to their craft and who do amazing things. 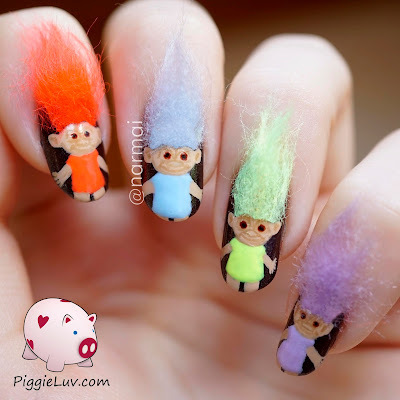 I want to be like them, think of new ideas, push myself further than I've ever been with nail art. 3) What tips you will give to all who want to be great nailartist like you? Keep practicing! Seriously, you don't have to have any painting skills when you start. I didn't. I still can't paint unless it's tiny. Just try to look at how a picture is built up, where are the shadows, the highlights, try to look at everything around you in color and shape instead of an object. Peel an image apart in layers in your head, and then paint! And um.... don't let the haters get you down! 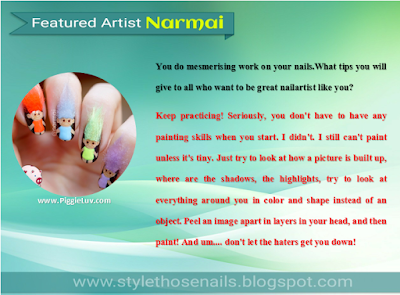 Thanks a lot Narmai for sharing all this with the readers of StyleThoseNails.